Pure Kitchen provides organic catering with fresh ingredients from local farmers and producers to give their clients a perfect culinary experience. PKC’s old site was a based on Flash and not mobile friendly, so they hired PrettySmart to give their website a much-needed upgrade. 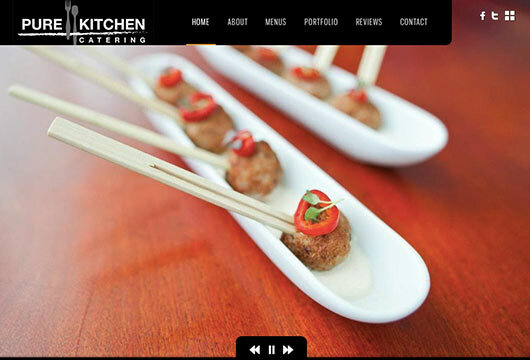 We choose a design with a clean interface and a full-screen layout to prominently feature their gorgeous food photography. We also created testimonial graphics to give a more personal touch than the standard-issue quote format.